I wish that I would have recorded Tyler as we opened these boxes for emergency preparedess. First, he was in a bear costume. No, I’m not kidding. We are going to be Goldilocks and the 3 Bears for Halloween, and our costumes had just arrived so Tyler was trying his on. We were just about to head upstairs to go to bed when I opened up these emergency preparedness boxes and I was cracking up because my husband, in a bear costume, was sitting at the table saying things like, “Cool!! !” “Oh my gosh this is amazing.” “Are you kidding me? !” He was in a bear costume. The image is making me laugh right now!! The whole idea for this blog post came when I did an Instagram story about a month or so ago on a Saturday night. I was cleaning out the fridge and Tyler was putting together his “go bag” for emergency preparedness which means a bag that you can grab and go that has emergency and survival essentials if find yourself in any type of disaster. I showed him putting together his bag in my story, and I got a TON of replies with questions about what was in it and where to buy the items! I was honestly kind of surprised momentarily, but then I thought, of course everyone wants to be prepared!! The world is in absolute chaos right now. Fires, floods, hurricanes…you want to be confident that you can take care of yourself when there aren’t any other resources available to help you. And then I thought, “let’s make this easier for my people!” So Tyler hopped on the computer and looked up a company that he had heard really good things about. Buying your items through Emergency Essentials saves a LOT of time rather than putting it all together yourself and it also saves money buying it in bulk like this. A WIN WIN!! We want to feature two of the packages for emergency preparedness that we think are a really good fit and all of the details are below! Use code PREPARE at checkout to get 10% off! 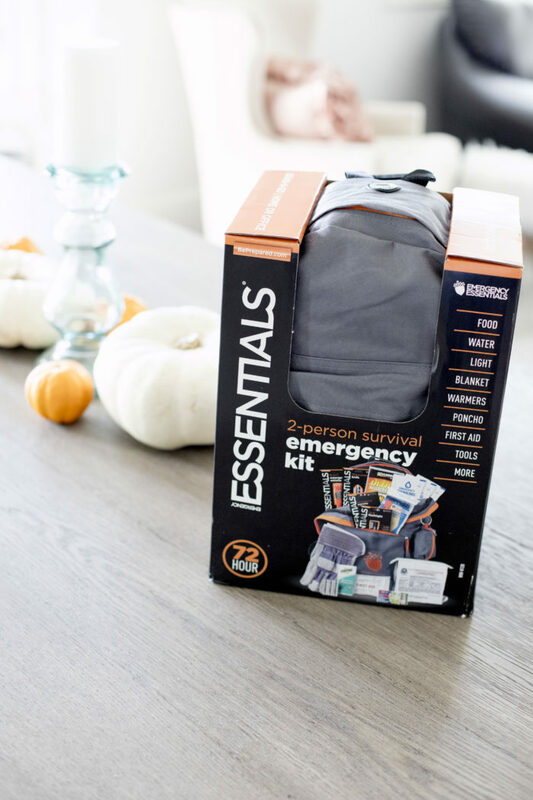 2-Person 72-Hour Emergency Survival Kit – This is an awesome kit if you’re on more of budget but also want to be prepared to take care of yourself should a disaster occur. 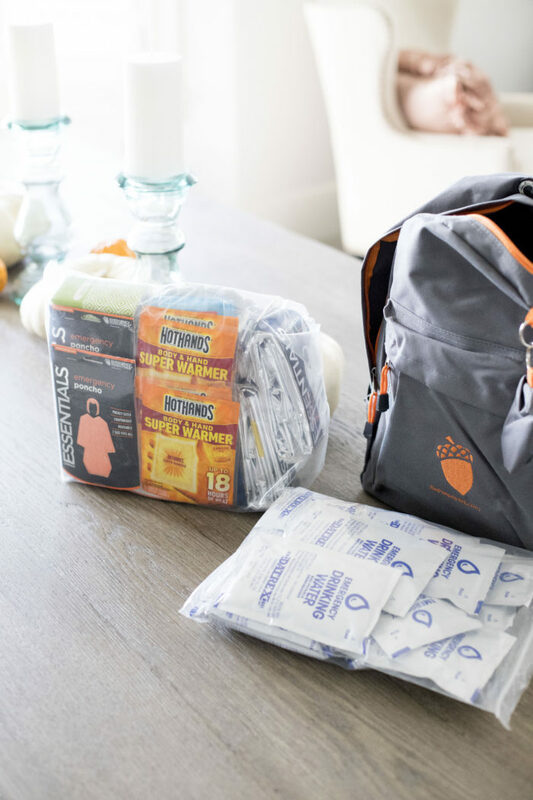 From their Web site: This two-person emergency kit provides you with all the basic tools and gear for a 72-hour period. Complete with two 3600 calorie food bar and 18 pouches of water, your dietary needs are taken care of. 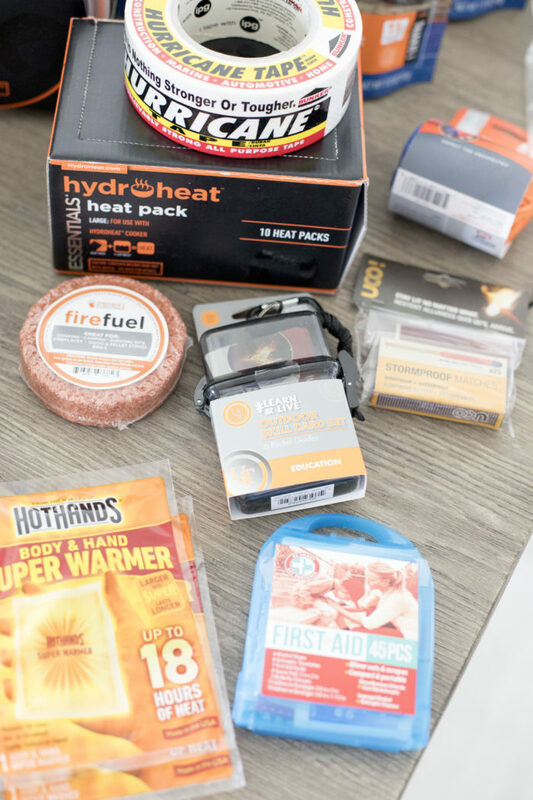 That, combined with other essentials for warmth, first-aid, light, shelter, and communication makes this 72-hour kit an essential partner for your car, home, or camping trips. 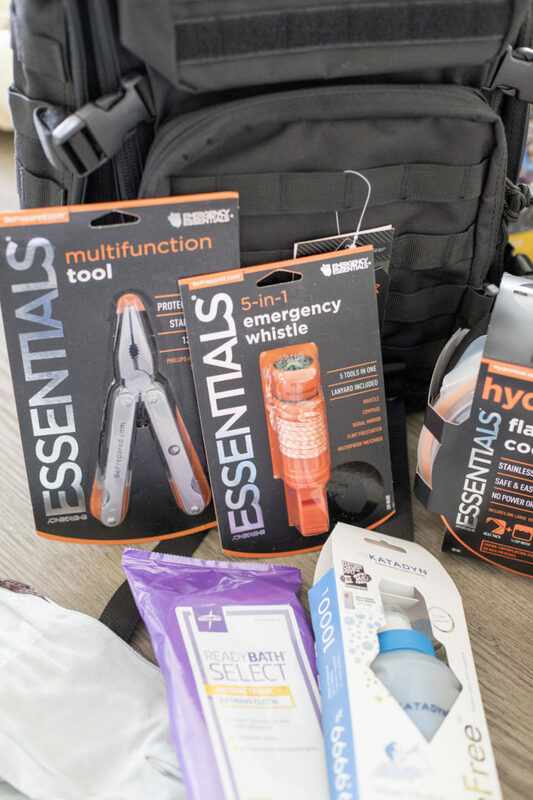 Keep it in an easy-to-reach location as your preferred bug-out bag, because when a crisis arises, there won’t be much time to gather your supplies. 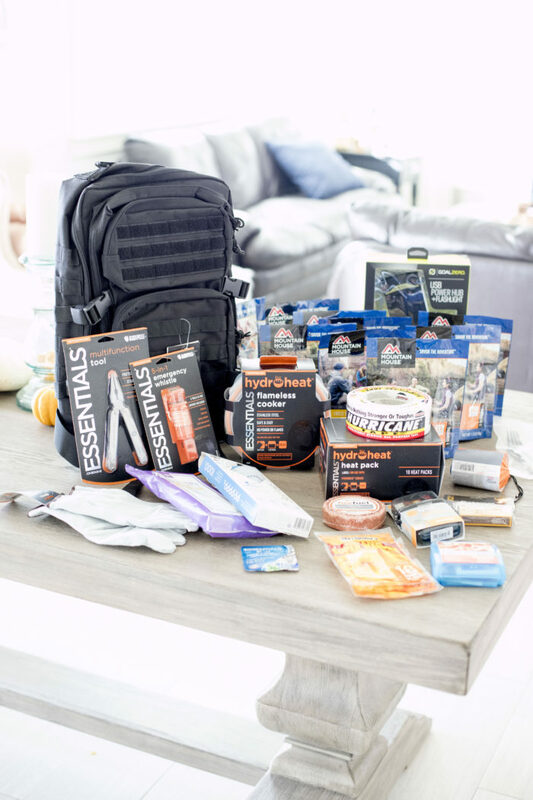 This kit is $59.95 (valued at $89.99 if you bought everything separately) AND you can use code PREPARE at checkout to get it for only $53.96! My church focuses heavily on emergency preparedness and food storage in case of an emergency so that we can be as self sufficient as possible in order to help others in a crisis. I think many of the reasons why people have put off and procrastinated doing this is because it’s difficult to find the time to research what you need, find the best price and then order it. 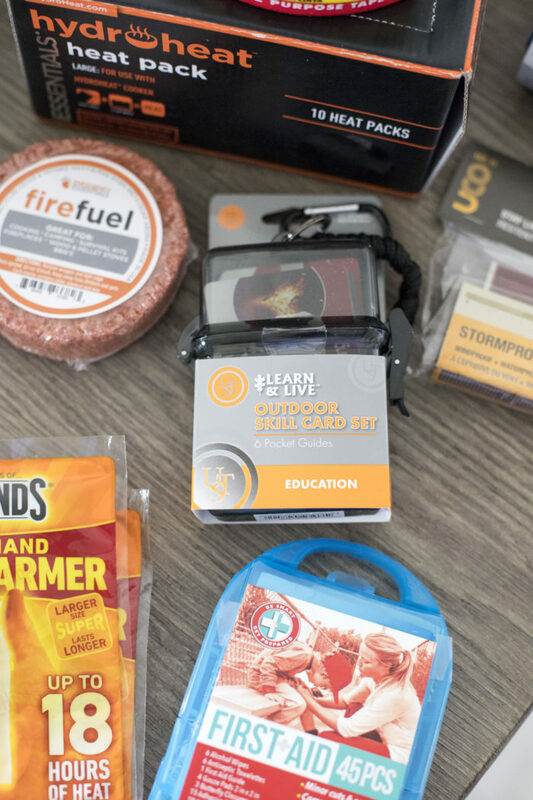 I LOVE that Emergency Essentials is making it SO easy and so affordable! They have many other incredible products including water and storage, and all types of emergency gear. The world is literally in mass chaos right now, and I’m so glad that I have a husband who has been taking it seriously. 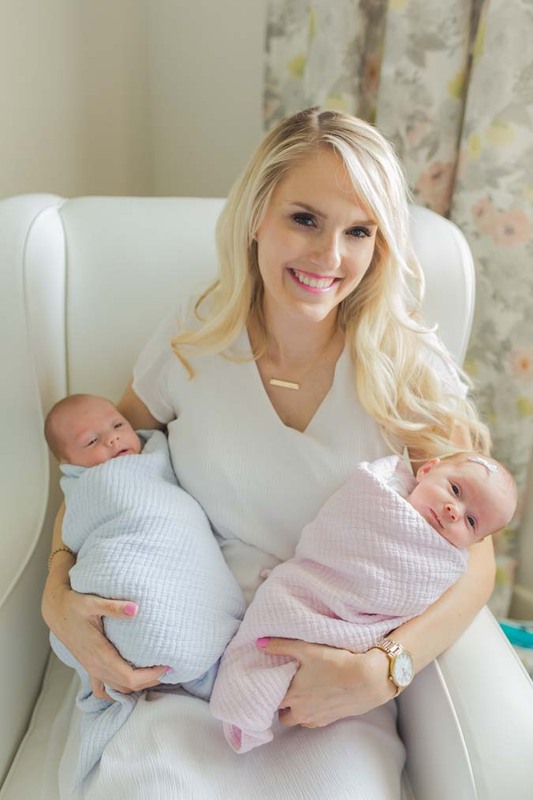 We have babies (and ourselves!) that we need to protect. I hope you guys have a great day! !